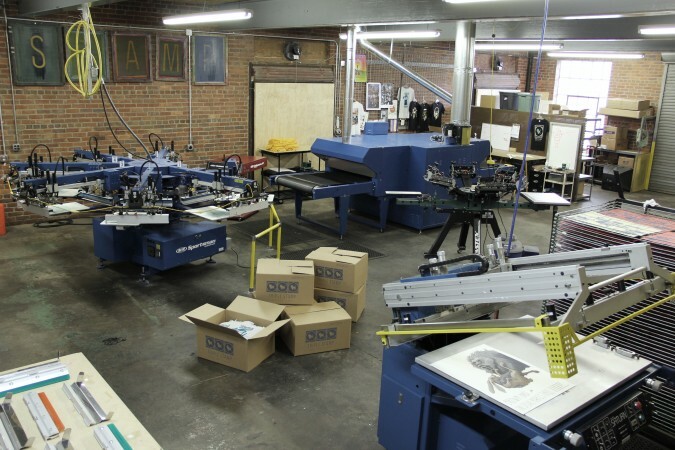 We are a custom screen print shop owned and operated in Richmond, Virginia. Our company specializes in Water-Based and Discharge print work on apparel, posters, stationery, and a wide variety of packaging. Many printers offer Water-Based and Discharge Printing as a specialty service or an upgrade that comes with additional fees. At Triple Stamp Press, we print exclusively with Water-Based and Discharge Inks. We bring the expertise, attention, and upgrade quality you’d expect from a specialty service to every job we do.